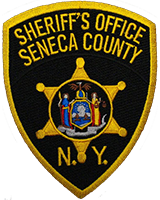 The Seneca County Sheriff’s Office reports on April 7th, 2019 at approximately 2:30 A.M. Deputies arrested Robert W. Whitley Jr., age 41, of 5145 E Lake Rd, for Driving While Intoxicated, Driving While Intoxicated with a BAC of .08% or more, and Failure to Keep Right. The arrest stems from a property damage accident that occurred near the intersection of E Lake Rd and Yale Farm Rd. Deputies report that Whitley was traveling southbound on E Lake Rd when he crossed the double solid yellow lines, drove through a front lawn and striking a mailbox. While investigating the accident, Deputies found Whitley to be intoxicated. No injuries were reported and the vehicle sustained heavy damage and was towed from the scene. After being processed at the Sheriff’s Office, Whitley was released on appearance tickets and is scheduled to appear at the Town of Varick Court on May 22nd, 2019 at 7:00 P.M. to answer charges.